Dig into some college football games outside the AP Top 25 and you can really unearth some precious betting opportunities. These hidden gems at a minimum promise to give bettors a fun sweat, and this week feature two of the oldest rivalries in university athletics. Princeton and Harvard square off for the 111th time in one of the oldest rivalries in all American sports. The Citadel and Virginia Military Institute first played each other in 1920. In this long-standing battle of Southern military colleges lasting almost a century, the two are competing for the Silver Shako. With all eyes on the Big Ten marquee match up between Michigan and Michigan State, there’s a lesser-known rivalry between 2 other Michigan schools � Western Michigan and Central Michigan. In Big Sky conference action, winless Northern Colorado is trying to end a losing streak that dates back to last season. The Rainbow Warriors of Hawaii remain undefeated at home and they host Mountain West foe Nevada. In one of the oldest rivalries in American sports, the first Princeton/Harvard game dates back to 1877. Princeton leads the series all-time 55-48-7. Princeton won last year’s contest 52-17, but in the previous ten, Princeton went 2-8 against Harvard since 2007. 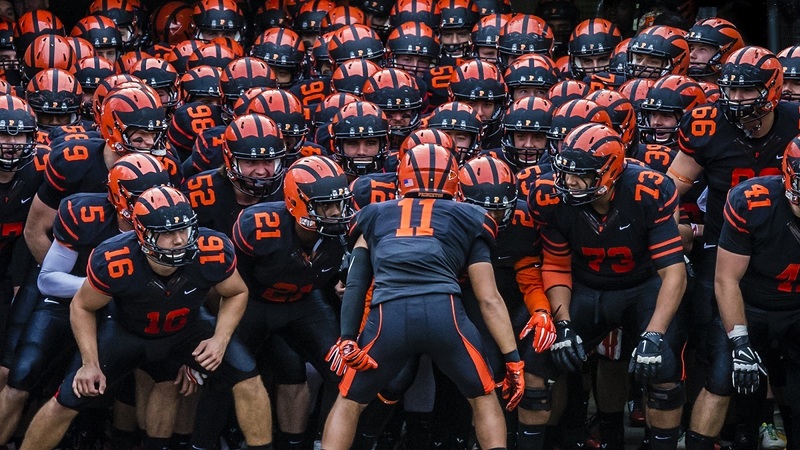 High-scoring Princeton (52 ppg) routed Brown last week 48-10. The Tigers were led by QB Kevin Davidson�s 4 touchdown passes. Princeton is in first place in the Ivy League and trying to keep up with undefeated Dartmouth. Princeton’s defense allowed only 43 total points this year or an average of 8.6 ppg. Princeton outscored their opponents 260-43 this season. Harvard lost two out of its last three games, but edged out Holy Cross 33-31 last week. Harvard blew a fourth quarter lead by allowing 17 points. Down by a point with the score 31-30, Jake McIntyre drilled a field goal as time ran out to lead the Crimson to victory. With all the focus on the Michigan/Michigan State game, the Western Michigan and Central Michigan match up in the MAC is just as heated and fierce. Since 2000, the series is tied at 9-9. The WMU Broncos are 3-0 and first place in the MAC, while the Chippewas are 0-3 and in last place. The Chippewas beat the Broncos 35-28 last year, but the Broncos were without QB Jon Wassink, who injured his collarbone the previous week. Meanwhile, Western Michigan only needs only one more win for bowl eligibility. In this Big Sky conference game, the Bears are winless and seeking their first victory of the season against the Northern Arizona Lumberjacks. Last week, the Lumberjacks won a turnover-ridden game against Weber State 28-24 and improved to 2-1 in the Big Sky. The Lumberjacks contributed six of the 11 turnovers, including four lost fumbles, yet still prevailed. The Bears are 0-4 in the Big Sky. Over the last four games, the Bears were outscored 167-91. The Bears D allowed 43+ points three times this season. The Bears lost 13 of their last 14 games and have no won a game since late November of last year. Army/Navy gets all the love, but this lesser-known match up between two military colleges is one of the oldest rivalries in sports. The Citadel and Virginia Military Institute face each other in the Military Classic of the South. The winner earns the Silver Shako. Citadel leads the series 41�30�2. The first meeting occurred in 1920 and VMI won 35-0. The WMI Keydets are looking for their first win of the season. They visit Charleston, South Carolina for a Southern conference showdown against The Citadel Bulldogs. The Citadel is led by their potent rushing attack, which is ranked #7 overall in the FCS and averaging 271.8 yards per game. VMI is eager to snap an 11-game losing streak against The Citadel. They lost last year 21-3. With the total at 71.5, this is expected to be a high-scoring affair because both teams have bad defenses. The Citadel allows 408 yards of total offense per game, while VMI gives up a whopping 573 total yards per game. As per usual, Hawaii is playing the last game on the college football schedule. The Rainbow Warriors are undefeated at Aloha Stadium in Honolulu. Hawaii makes the most of their remote location and forces the opponent to worry about the long-distance travel. 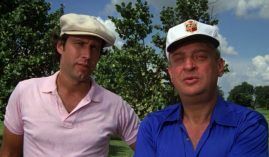 Nevada will have to navigate from Reno to Honolulu, which was not as problematic as Wyoming’s journey. The Cowboys took a bus to Cheyenne, then flew to Hawaii with a fuel stop in Los Angeles. Total airtime was eight hours. The Rainbow Warriors have a high-flying offense that averages 448 yards per game. Hawaii is 16th in the nation in passing and led by Cole McDonald (26 TD and 3 INT). The Wolfpack dropped two in a row and will have to figure out how to slow down the Rainbow Warriors offense. Wolfpack gave up 506 yards of offense to Boise State last week. Overall, the Wolfpack allowed 33.6 points per game and yielded 406 yards of offense. BYU crushed the Rainbow Warriors last week 49-23, but the total went over. This season, the over is 5-3 for the Rainbow Warriors. Expected another shootout.